Gru, along with his millions of minions, is back for the second round of deliciously evil comedy with Despicable Me 2. And when I say back I actually mean that Gru shows his back on us in the movie's final poster. When will this back-turning trend in movie posters ever end? Steve Carrell and Russell Brand are putting together their antics once again as Gru and Dr. Nefario. They will be joined by Kristen Wiig's equally hilarious Lucy Wilde. Of course, the adorable and loyal minions and the girls are back to add laughter to the already funny moments. 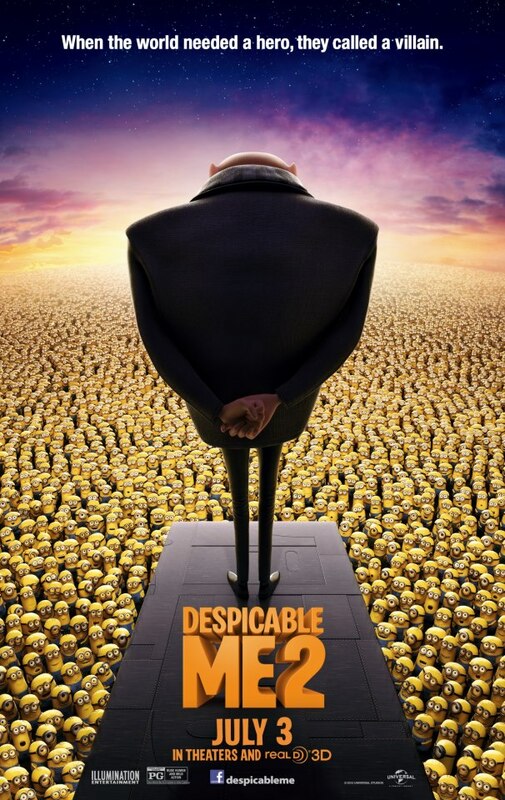 See great villainy at work in the final poster of Despicable Me 2. When the world needed a hero, they called a villain! Watch this heroic genius and failed villainy on screen on July 3, 2013.